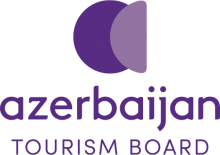 Azerbaijan Tourism Board (ATB) has launched ‘Take another look’ campaign as part of its strategy to present a new portrait of the country, enhance its destination value and double the current in-bound tourism by 2023. The brand positioning and identity is an invitation to attract travellers to consider Azerbaijan from a unique point of view and discover its untold stories and secrets. With a new brand and the ‘Take another look’ promotional campaign, Azerbaijan will focus on increasing the number of tourists from a broader pool of countries throughout Europe, the Middle East, China, as well as Central and Southeast Asia. Azerbaijan Airlines, the flag carrier of Azerbaijan, has announced direct charter flights from India to Azerbaijan in 2019. Indian passport holders are eligible for e-Visa to Azerbaijan, which is processed online within 3 hours through the new simplified electronic visa procedure. The new initiatives are expected to improve Azerbaijan’s ranking among countries with a high tourism contribution towards national GDP, according to the World Travel and Tourism Council 2018 Impact Report. It is forecasted to be at 6 per cent per annum over the course of the next 10 years ranking it amongst the world’s top 20 high-potential countries.